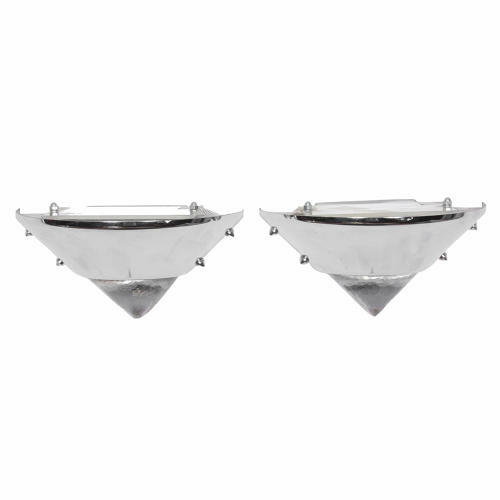 A pair of uplighter wall lights in a triangular shape. Solid glass on the lower part with a chromed metal upper part. Includes re-wiring.